Storage space is always at a premium and we never seem to have enough of it. Our homes seem to get smaller, but with open plan living having plenty of storage space to put things out of sight can be difficult, unless the storage has been planned wisely. 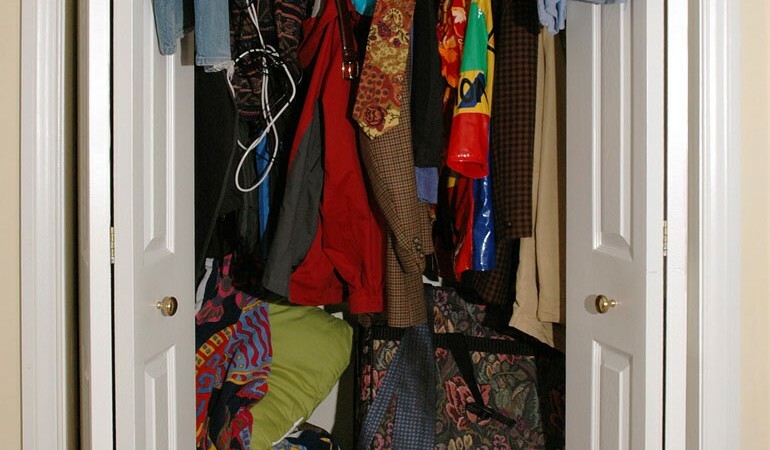 For those of you that go for a minimalist look or to the other extreme, those of you that are clutter bugs, there never seems to be enough room to store our clothes, shoes and personal items. Unless of course you are fortunate enough to live in a mansion and have the ultimate home luxury and hearts desire … a walk in wardrobe. Is this your dream, a walk in wardrobe? Measure the size of your room and draw it to scale on paper; include the door, window, plug sockets, radiator and other fixtures that can not be moved. Cut to size scaled paper furniture and move around the plan to find the right location and fit for the furniture. If short of floor space, consider adding draws under a raised bed and perhaps a wardrobe at the head of the bed to double as a headboard. Remember to use light coloured paintwork in a small room. Add depth to a wall by adding vertical strips, darker colours and designs which draw the eye and make the room look taller. Use large mirrors to reflect the light and add extra dimension to the room. 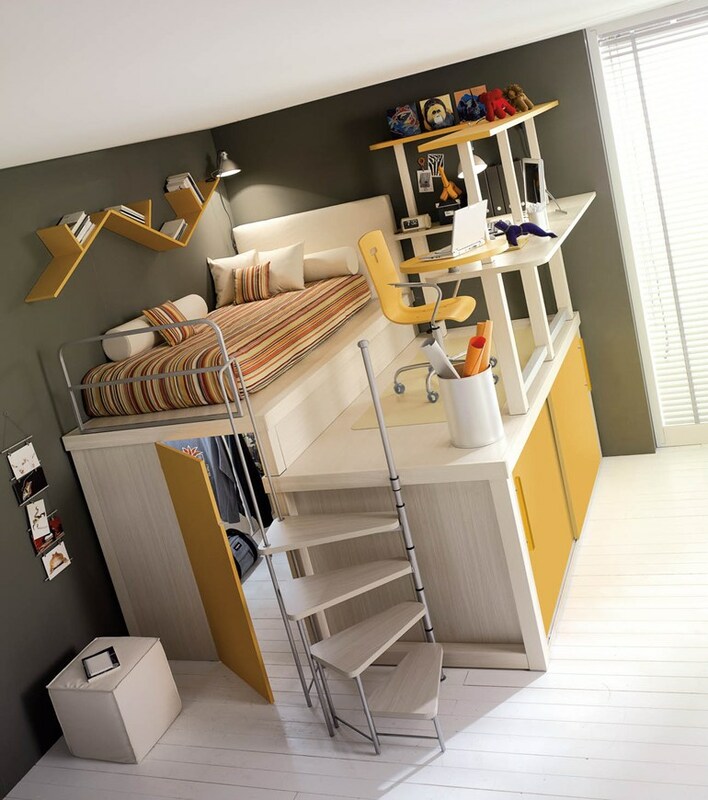 Add storage around, above and under the bed. Dark coloured furniture can make the room feel smaller, so try to keep things light. Create a focal point; add quirky features to a room by adding shelving and fold flat tables to distract the eye. Put bed head against one of your bedroom windows so the curtains and pelmet act as the headboard. Install suitable lighting that will have more than one function. If all else fails reduce the amount of clobber you keep! 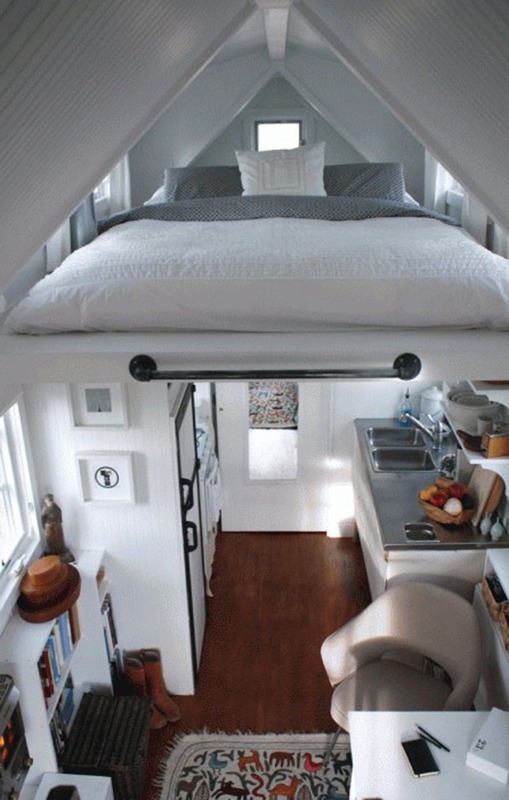 Here is a selection of space saving ideas that we hope will inspire your new bedroom. Which will your favourite be? 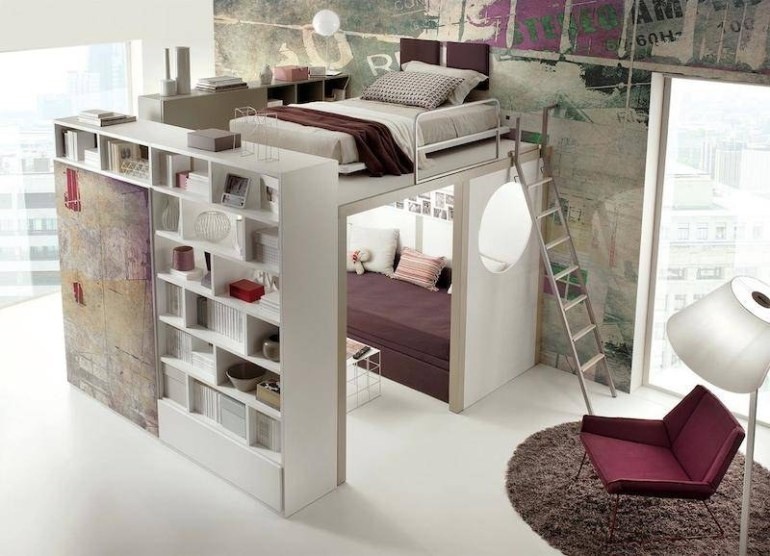 Does your bedroom have a high ceiling? Could you make use of the space by installing a raised bed? This raised bed unit and work area allow for wardrobe and built in storage underneath. Does your spare room need to double as a guest room? 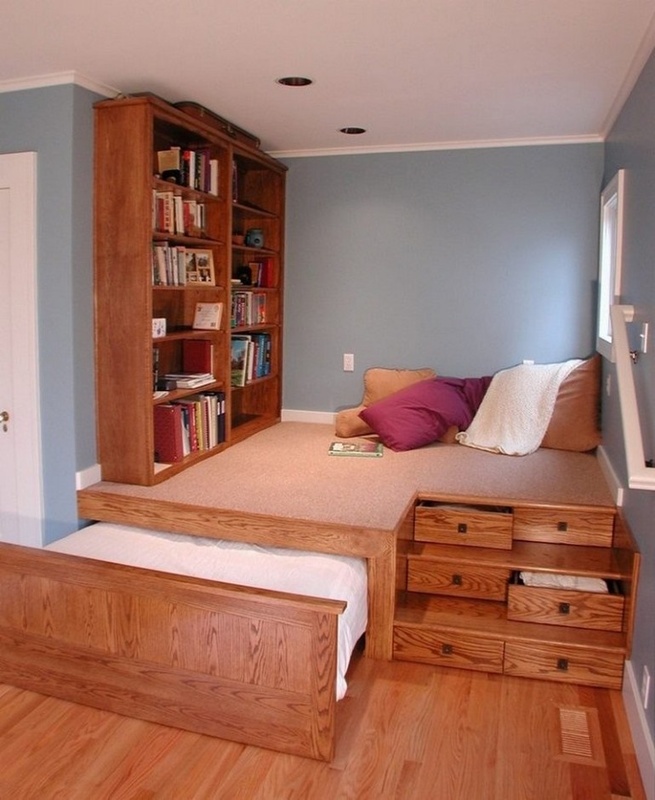 This secret bed hides under the raised floor. 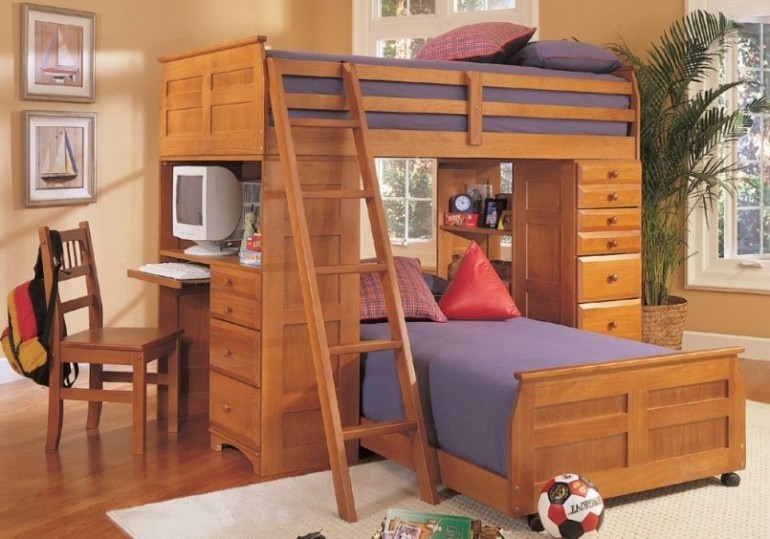 Something as simple as this bed this tips up to reveal a large storage area that is not always as easy to access. This is my favourite bed. It is higher and easier to get in and out of. I makes use of the otherwise wasted storage space under and at the end of the bed. This is a great example of a space saving bedroom, up in the eves of a small barn, with all mod cons below including the storage. 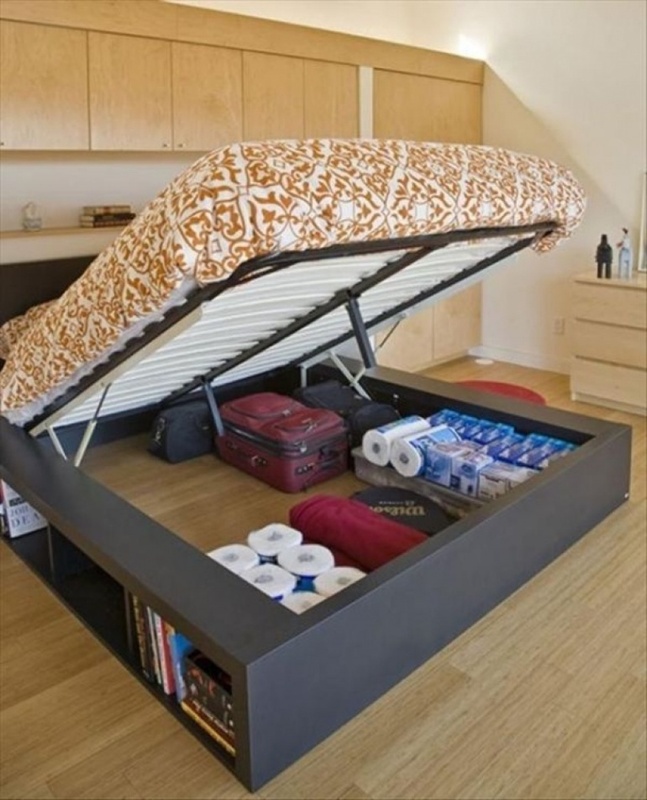 Do you have any space saving ideas? We would be pleased to share your favourites ideas.